"They're swingin' everything else—why not nursery rhymes?" stated Ella Fitzgerald while dancing around the room showcasing some new dance moves. This and other charming anecdotes are documented in Earl Wilson's 1938 New York Post article, "A Tisket, A Tasket, The Wrong Colored Basket," which spotlighted Ella's new hit single, "A-Tisket, A-Tasket." Arguably one of the catchiest tunes in jazz, this piece of music recorded on May 2, 1938, single-handedly launched Ella Fitzgerald, "The First Lady of Song," into fame and traveled with her throughout an extremely successful career. Originally from a 19th-century nursery rhyme, "A-Tisket, A-Tasket" may have been a somewhat unlikely fit for Decca Records. The song's lyrics were an element of the beloved children's rhyming game Drop the Glove, brought to the United States by English colonists. While singing the catchy tune, children would dance in a circle while one child ran around them and dropped a handkerchief. The closest one to the dropped handkerchief then picked it up and tried to catch the child who dropped it. If the child is caught, they are kissed and then obligated to tell the name of their love. Recording the song "A-Tisket, A-Tasket" was Ella's own idea, as she often played the game in the orphanage where she lived in Yonkers, New York. The lyrics are slightly different from the original nursery rhyme, as they are the words Ella remembered singing as a child. Because of this, the color of the basket in the original rhyme and Ella's rendition are different. In the original, the color of the basket is green and yellow, compared to Ella's words recalling the colors as brown and yellow. As arranger Al Feldman (whose name also appears on the original score) claimed, "Who are we to go around remembering the colors of baskets?" The swing period of the 1930s, characterized by its rhythmic momentum and variations, gave "A-Tisket, A-Tasket" all the musical elements it needed to succeed. The propulsive rhythmic quality naturally developed a flowing and smooth musical line, making it easy listening for audiences. In order to achieve this feeling, musicians were often encouraged to play slightly ahead of the beat (compared to earlier styles of jazz that played on the beat). 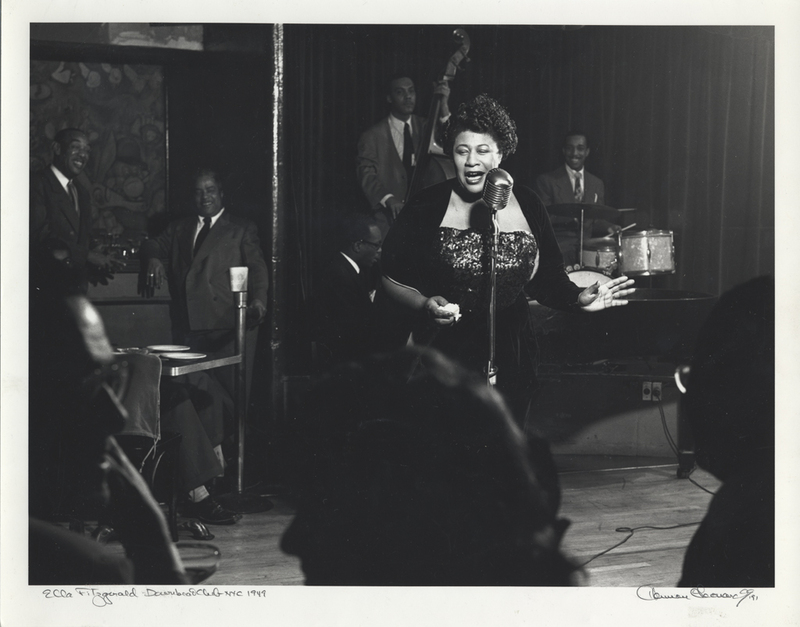 At this point in time, Ella was a vocalist with Chick Webb and His Orchestra. On May 2, 1938, they rehearsed the song for only one hour before recording it that night. Bob Stephens, the recording engineer at Decca Records, did not want to release the song, and Chick Webb had to convince Decca Records executives to even consider it. The song hit the charts at the number 10 spot on June 18, 1938, and two weeks later on June 25, 1938, reached number one. Overall, "A-Tisket, A-Tasket" stayed on the Hit Parade, a credible ranking of the most popular songs of that time, for 19 weeks and by 1950 had sold a million copies. "A-Tisket, A-Tasket" was inducted into the Grammy Hall of Fame in 1986 and is still a well-loved song today. Alyssa Waldner completed an internship at the National Museum of American History. She is currently completing undergraduate studies in vocal performance at the University of Lethbridge in Lethbridge, Alberta, Canada.